Dorothy Moore started her label Farish Street Records of Mississippi in 2002. The label is named to honor the legendary street and neighborhood where Dorothy was raised. Not far from her childhood home, Farish Street was the home to live and juke blues music that filled Dorothy's head and heart even in her early years. Some of the musicians that were found or first recorded on Farish Street were Robert Johnson, Sonny Boy Williamson II, and Elmore James. Some talent scouts and record labels, like H.C. Speir, Trumpet Records, Ace Records, were on the street early in Dorothy's life. Anyone who was in the music world and African American played up and down the street. Bessie Smith played with the Rabbit Foot Minstrels. Louis Armstrong, Count Basie, Duke Ellington, Dinah Washington played in halls along the street. 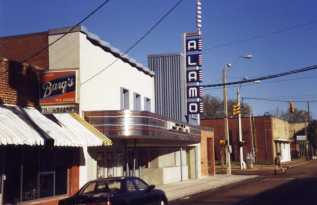 The Alamo Theater, at 333 N Farish Street, was where Dorothy started her career. Other artists before her sung there too, such as Nat King Cole, Elmore James, Otis Span. When Dorthy was twelve, her great grandmother (who raised her), Minnie Mitchell, let Dorothy enter the Wednesday night talent shows. She chose to sing blues as it was an adult audience and she knew what they liked. Dorothy won that night and every night she entered the Alamo Theater talent show. Today the street is in a historic district and many of the sites are still standing. The Alamo Theater has been renovated and you might find Dorothy at the ticket window to volunteer at the community owned theater. Some of the best juke music in town is at Peaches Cafe and Big John's, DBA Big Apple Inn. These may the oldest resturants in Jackson, MS. 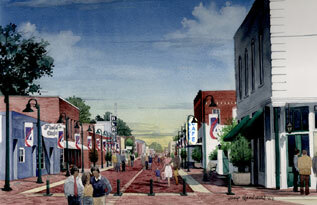 In 2002 historic preservation redevelopment was begun on Farish Street. Dorothy honored the nationally known street for it's rich music heritage by naming her company Farish Street Records of Mississippi. Download the "Free Anti-Bootleg Public Service Announcement" featuring Dorothy Moore asking fans not to buy the bootlegged cds from street vendors. It is a 30 second Public Service Announcement.